Over 250 spectacular original and modified Volkswagens will be on exhibit in this free family-friendly event. 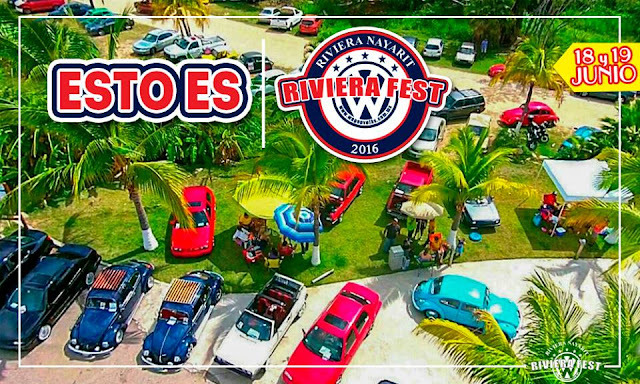 La Cruz de Huanacaxtle is preparing to host the V VW Riviera Fest on Sunday, June 19, 2016. 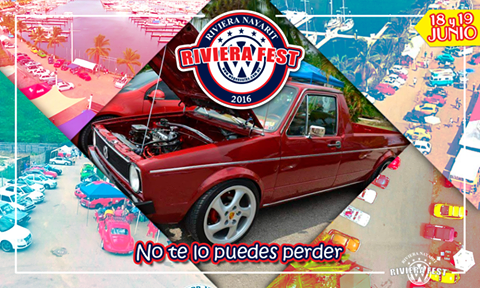 This extraordinary Volkswagen auto exhibit will be held on the esplanade within the Marina Riviera Nayarit. This Volkswagen-only exhibit will begin at 9 a.m. and run through 5 p.m. on Sunday, during which time visitors will be able to peruse everything from classic cars to newly modified vehicles. And that’s not all: the marina facilities also offer access to the ocean and plenty of services. A national level competition will be held as part of the VW Riviera Fest, with different categories including Original Auto, Modified and Super Modified, among others. Cars such as the Jetta, Golf and Caribe will compete in the Euro category as well. Over 250 cars and some 700 participants will begin to arrive starting on Saturday, June 18th from cities such as Tepic, Mazatlán, Colima, Salamanca, León, Aguascalientes, Zacatecas, Guadalajara and Tepatitlán, among others. The registration cost per vehicles is MX$300. For more information please visit: https://www.facebook.com/Rivierafest/?fref=ts.